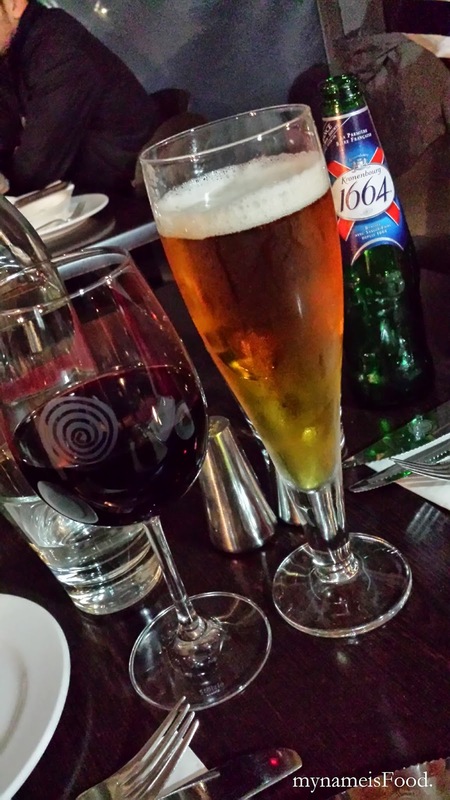 Hurricane's Grill, Darling Harbour, Sydney - my name is Food. 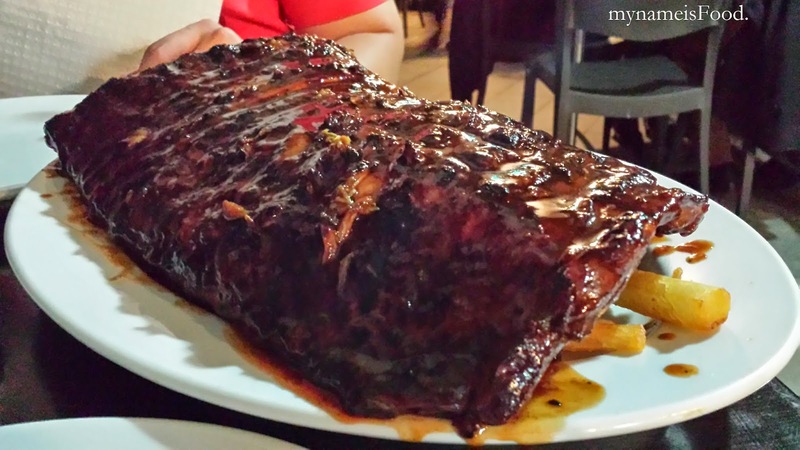 Hurricane's Grill is widely known for its pork ribs, located on level 2 of Harbourside Shopping Centre in Darling Harbour. Open for 7 days a week, bookings are essential since it does get packed quite easily especially for dinner. Came on a weekend night and it was packed as.. Had to wait for a while for a seat for two but when we finally got our seats, we were seated outside on the back. Been a while since we've had Hurricane's famous ribs, and Mike's Kitchen has always been our favourite ribs place so since everyone keeps roaring about this place, decided to come here again, giving me a chance to compare it too. Once seated, 'Garlic or Herb Roll' was offered, we opted for the 'Garlic Roll' ($4.5). 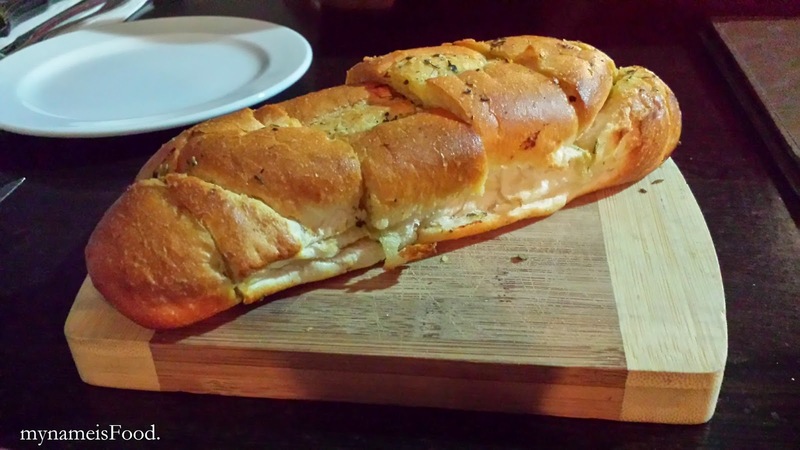 The Garlic Bread was just normal placed on a small wooden board, nothing extra ordinary. 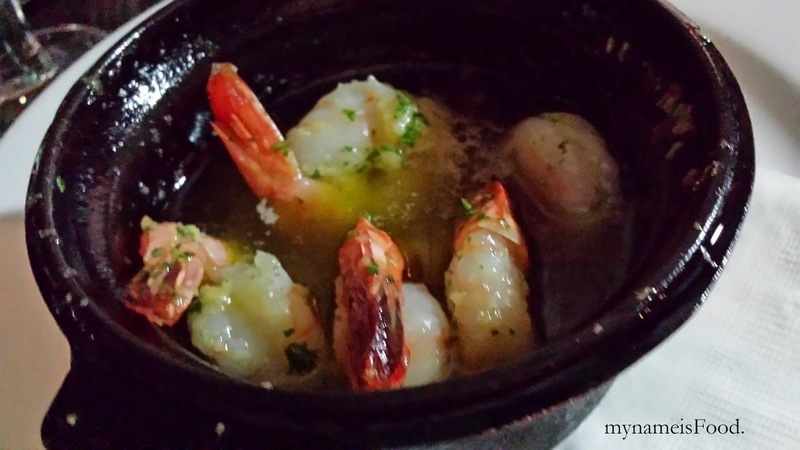 'Garlic Prawns' ($18) was served on a small black pot, placed on top of a serviette and a big white plate. The garlic prawns were cooked in a garlic butter, olive oil and fresh garlic. A serving came in 5 prawns, not king prawns, and they were quite small. The liquid you see inside the pot is just olive oil which I found wasn't a good idea as it made the prawns really oily and losing that strong garlic butter smell and taste as well. 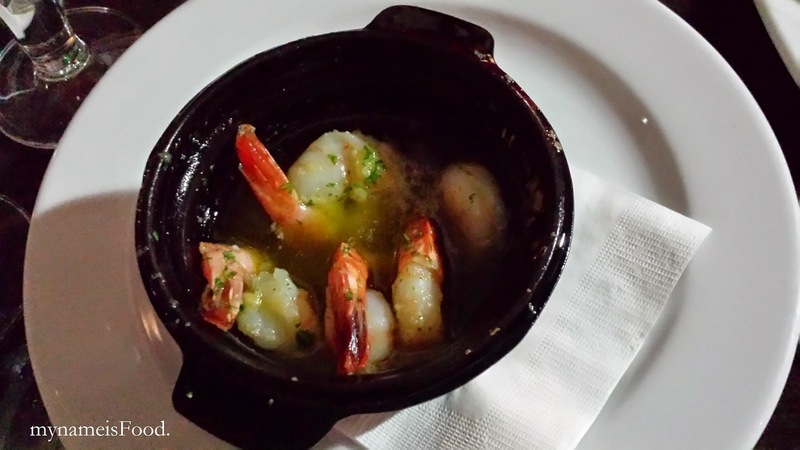 If they had maybe placed it with less oil, or even an alternative presentation of the garlic prawns, I think that would've been better instead of placing them in a pot filled with garlicky olive oil. Ribs, comes either in Pork, Beef or Lamb and the pork is usually the one that gets the crowd. Comes in either a full rack or a half rack at various prices. We ordered the 'Pork Ribs - full rack' ($44.90) served with either a choice of chips or baked potatoes with sour cream and chives. I found that placing the chips underneath the ribs may be somewhat a bad option since it makes the chips soggier than usual due to the surrounding and covered heat coming from the ribs. Though it is nice to get the leftover or dripping sauce from the ribs to the chips but still.. The ribs are said to be basted in Hurricane's rib basting then grilled until tender which the ribs did not meet tonight. When eating ribs, the meat should fall off easily and softly off the bone, however, the ribs did not. It was hard and did not fall off the bone easily, even having to give that extra strength of biting them off the bone, there were still leftover meat sticking on the bone. I don't think that the ribs was tender enough to be served. 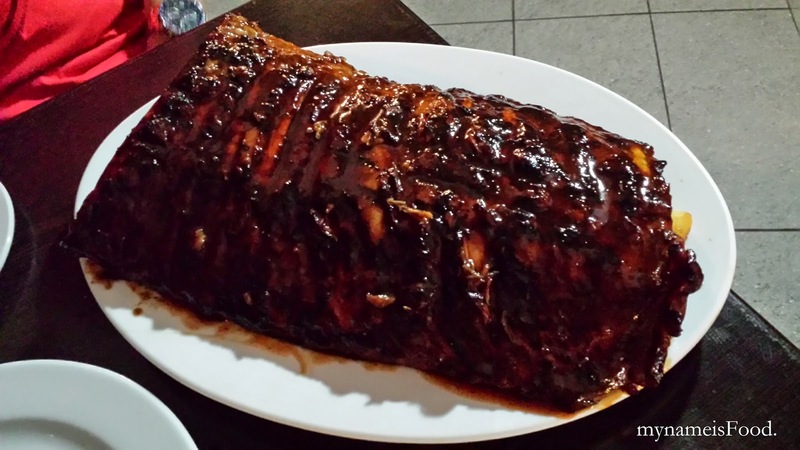 It did not only happen to one or two of the rib pieces but to the whole full rack of ribs. Dissapointed at the meal tonight since Hurricane Grill has always have the motto of living up to their aim on drawing back the crowds or the ribs being a taste sensation but it was neither of that tonight for us. It might have been due to the fact that it was busy tonight, but the usual nights are busy and maybe because of the branch we were in, but we all know that the most popular Hurricane Grill's branch would be here, at Darling Harbour. Maybe just bad luck but anyway, I still prefer Mike's Kitchen's Pork Ribs..